First I made this super easy sauce. Just reduced down, 1/2 cup organic cream (best from pastured cows raw or only pasteurized), on the lowest setting for 8 minutes or so. 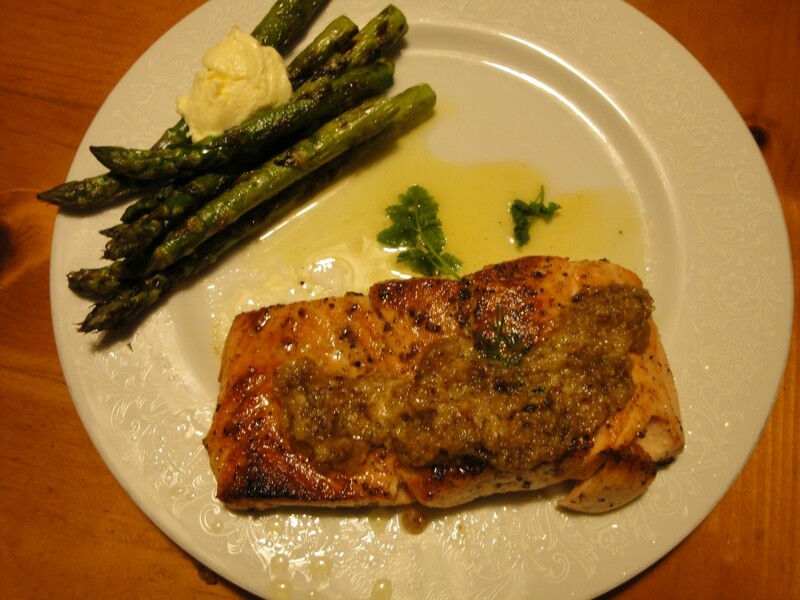 Spice it with a bit of dry French tarragon, white pepper & lemon zest. 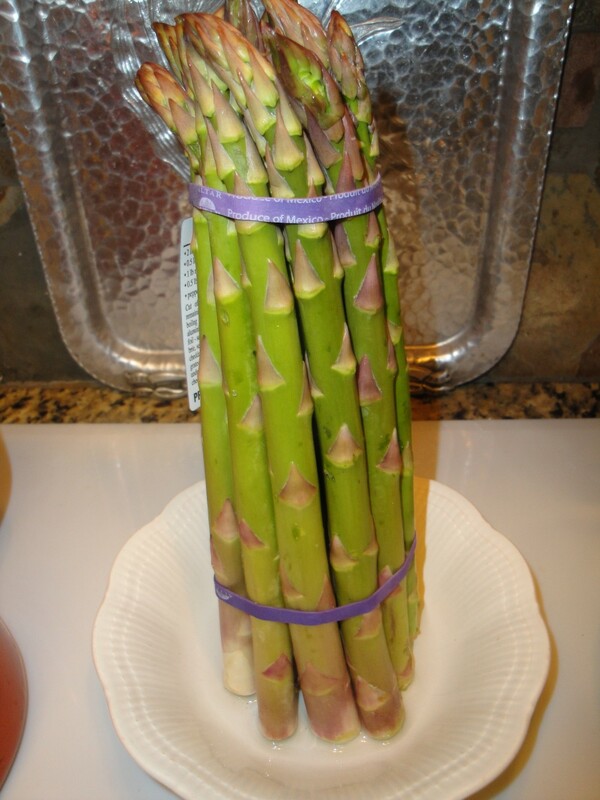 When you buy asparagus look for the straightest tips, not opened up or bent way over. At home give them a clean cut on the bottom. Stand them up in a dish with a little filtered water. Cover with a bag and refrigerate. Just before cooking, bend and break spears at the point they want to. Clean and coat with olive oil and a bit of sea salt. Clean and dry Salmon. Cover each piece with soft sweet butter, (best to use organic sweet butter from pastured cows, raw if possible). Season with sea salt, garlic, and black, or white pepper. Grill the asparagus on a grilling tray, turning for even char. Gently place the salmon skin side up on the grilling tray, close lid and check every 3-4 minutes, turn carefully, so they don’t break up. 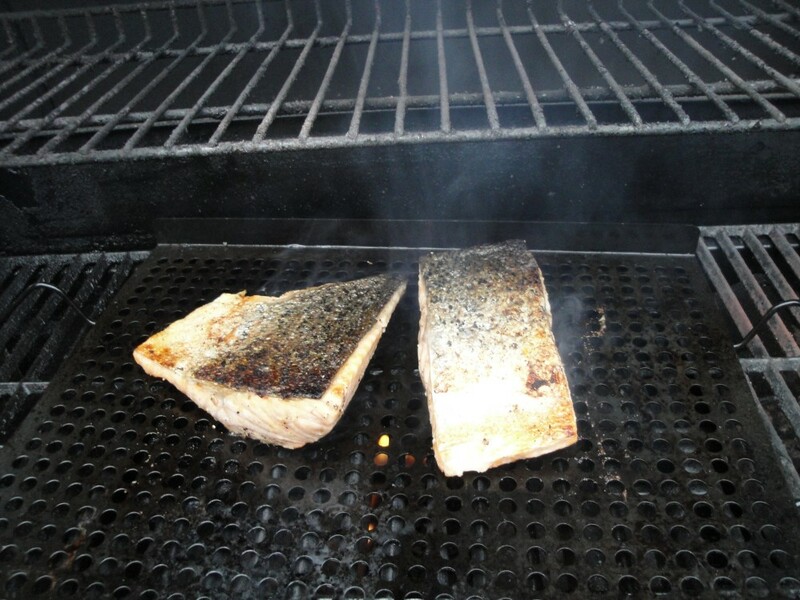 Cook until the fish looks done, a kind of firm pink color not raw and opaque when you peek inside the flesh. 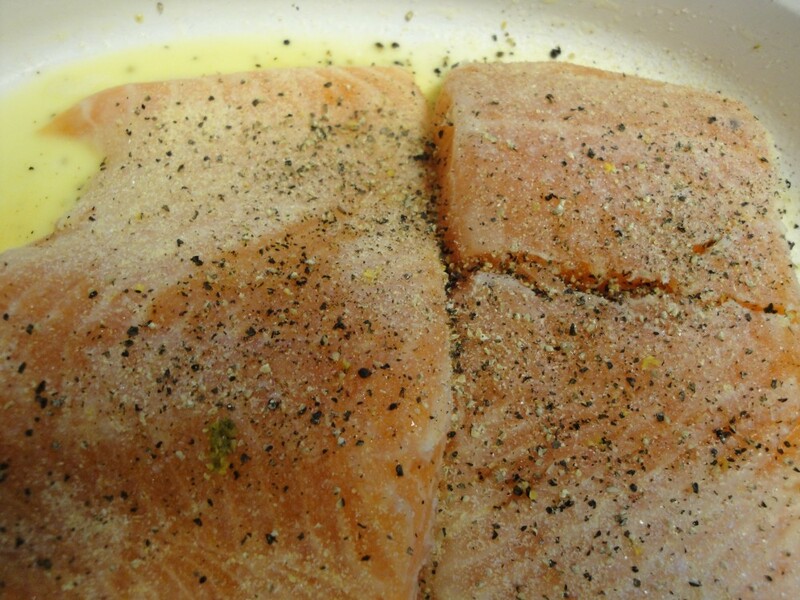 When finished remove skin from the Salmon and cover with sauce. I like a spoonful of home-made mayonnaise or butter on the asparagus.